3. Tell and write time in hours and half-hours using analog and digital clocks. Fairy tales are a nurturing way to introduce the concept of time. The Twelve Months is a Russian fairy tale that casts the months as a circle of twelve men ranging in age from very young to very old. The ages of the men are related to the seasons, starting with Spring as the youngest and ending with Winter as the oldest. 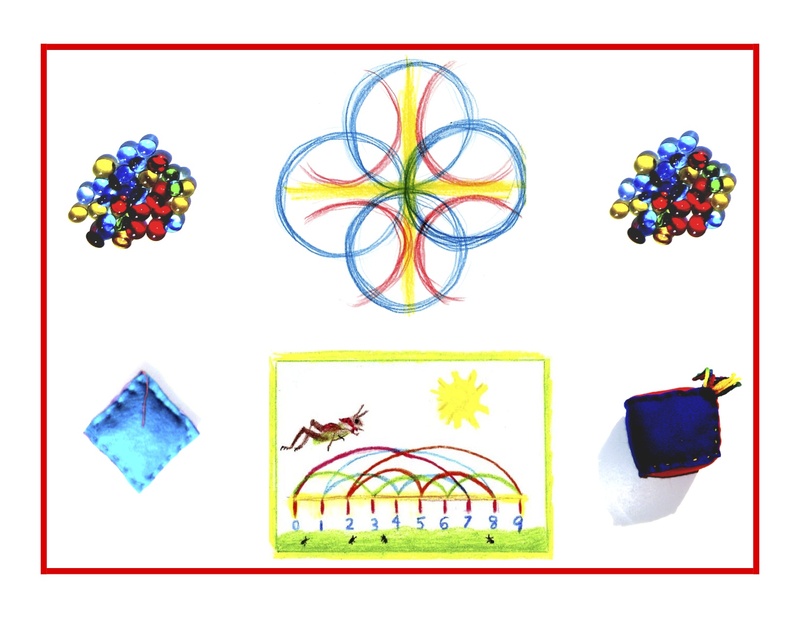 This fairy tale is told in relation to the number 12 in the Math By Hand curriculum, retold by the children the next day, and illustrated with a form drawing: the circle divided into 12 with 3 segments representing each season. This is a link to Knit and Knag Designs, a website that offers knitting patterns seemingly related to folk and fairy tales. Here the story is called Marushka Fairy Tale in honor of the young girl who goes out into the world with nothing and is rewarded for her goodness and kindness.